Welcome to CID, a school where children, birth to age 12, who are deaf and hard of hearing learn to listen, talk and read. We prepare children to participate and succeed in their neighborhood schools. Generous private support makes us affordable for all. You have come to an excellent place to explore your child’s potential. CID has more than 100 years of experience teaching children who are deaf and putting them on the path toward happy and productive lives. If you’re a parent of a recently diagnosed baby, the Joanne Parrish Knight Family Center is the place for you and your family. 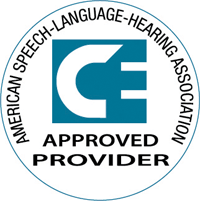 Our parent educators and audiologists will partner with you to help your child, newborn to age 3, learn to listen and talk. We also offer a toddler class for 2-year-olds. CID’s Anabeth and John Weil Early Childhood Center serves children ages 3 to 6 and emphasizes emerging literacy and social skills as well as age-appropriate academic instruction. Our Virginia J. Browning Primary School meets state educational standards for children through age 12. All CID programs are designed to prepare students for general educational settings. In a highly individualized, assessment-based program with a 5 to 1 or better student-teacher ratio, we weave speech, language and auditory instruction throughout the academics and offer music, art, physical education and other special activities. Our teachers, speech-language therapists and pediatric audiologists are dedicated, caring individuals with advanced degrees and faculty appointments at Washington University School of Medicine. Their successes speak in the voices and everyday lives of our alumni, many of whom go on to pursue higher education and professional careers. I invite you to visit, meet our staff, families and children and learn what CID has to offer your child. Please contact us using a GET STARTED link or call toll-free 888.444.4565 (ext. 135) to talk to us about your child. We look forward to meeting you. 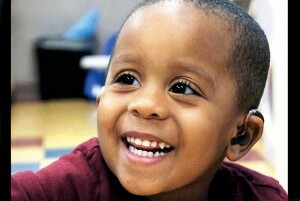 “CID has been a godsend for our son. Before coming to school he had an extremely limited vocabulary and a lot of frustration expressing his feelings. In the past few years, we have witnessed him growing into a smart and funny individual. In October 2003, the CID board of directors named Robin M. Feder, MS, CFRE executive director of CID–Central Institute for the Deaf. From 1988 to 2003, she was CID’s top development officer. Initially, she was trained in the CID professional education program as a teacher of the deaf. She received her undergraduate degree in 1972 from Washington University in St. Louis and her master’s degree in deaf education in 1975 from Washington University/CID. She taught at CID for 12 years—in the school, in language development classes and in the parent-infant program—before she was asked to establish a development and public relations office at CID. 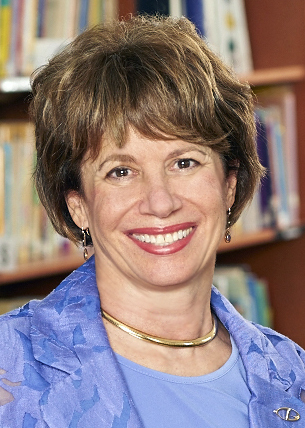 Under Ms. Feder’s leadership, school enrollment doubled from 2003 to 2013. Ms. Feder helped initiate and design CID’s annual signature fundraising Ultimate Picnic gala, now called CID OUT LOUD! This event has raised nearly $4 million to benefit the school children at CID. She coordinated the CID capital campaign completed in 2002 and the CID centennial campaign in 2014. Together, these campaigns raised over $56 million for the mission. Since 1995, Ms. Feder has been a mentor to underprivileged children, beginning in the Mentor St. Louis program. She is a member of the National Association of Fundraising Professionals and earned her professional certification in 2000. She is the recipient of a 2017 Ladue High School Local Hero Award. Ms. Feder is CID’s first female executive director. Her mother, Joy Melman, was a teacher at CID.